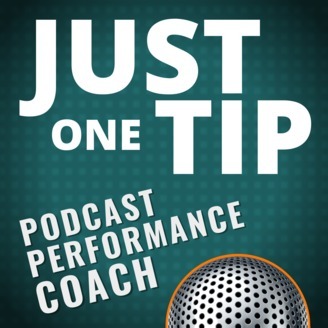 Tim Wohlberg is a podcast talent coach. 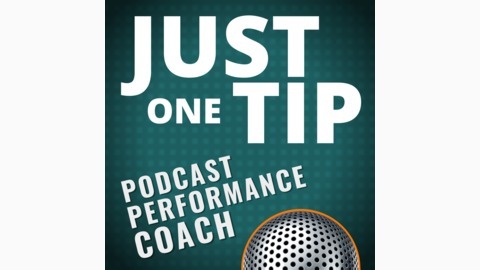 Each episode this broadcasting and radio veteran offers one simple tip that a podcaster can use to gain mic confidence, grow their audience and sound more like a pro. Make your next episode better than your last by subscribing to this 5-minute podcast and get just the tip you need to create great sounding podcasts! If you’re like most podcasters, you caught the bug and jumped right on the podcast trend train. Now, maybe you’re wondering why people aren’t flocking to your business after hearing your super awesome podcast. Maybe because you didn’t follow these three key steps for starting an effective podcast for business. If you don’t know this already, let me burst your bubble. Podcasting takes time and money. If you’re thinking of using it as a way to market your services or business, then you need to know this. Here, have another slice of bombshell truth pie - you CAN do it wrong. If you’re thinking that any old podcast is going to turn into a firehose just gushing clients all over you, then think again. If you don’t plan your podcast right, you’ll be lucky to get a trickle out of that hose. Okay, enough with the scare tactics. Let me get to the meat of that proverbial pie. Mmmm, meat pie. Here are the three things you have to consider before starting a podcast for business IF you want it to be effective. Have a Plan. I’m not being a jerk here. A lot of people start without a plan at all. I explain exactly what your plan needs to look like more in the podcast, so, go listen to it. Be on Brand. Make sure that your podcast doesn’t just reflect you but that special something that makes your business extra hot stuff. Again, a lot of podcasters forget that this is a piece of marketing that is going to influence brand identity and awareness. Tell Your Listener What to Do Next. Yes, I’m talking about a call to action. A purpose for your podcast. Make sure that listener who just gave you a whole lot of their time knows how to spend more time (and money?) with you. These are just the basics but it’s a really important place to start if you are thinking about starting a podcast to use a marketing tool for your business. Take a listen to this episode to get a better sense of why these three steps are so critical. Already have a podcast? How does it measure up - do you have all three covered? If not, don’t freak out, man. You can still fix it. That’s all part of making your podcast better - changing it for the better. So, do these three things from here on and you’ll see a big shift in how effectively your podcast converts listeners into fans, and fans into customers. Now, if you need some help revamping your podcast into a more effective marketing play - I can help. I have a 6-week Podcast Rescue program where I coach you personally to redesign your podcast so that it better serves your ideal audience and gets you better results. It all starts with a free 15 minute phone call. Let’s jump on a call - what do you have to lose?